Many people in their 70s are retired. Whether you're one of them or not, it doesn't mean you should stop your financial planning – in fact it means you should pay even more attention as finances in your 70s offer more opportunities (and risks) now than ever before. 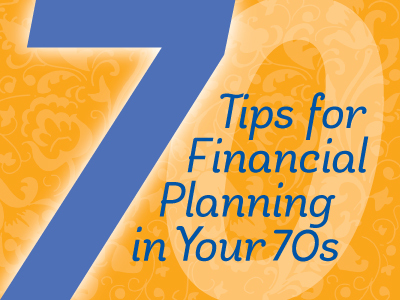 Here are seven tips to help make sure you're well prepared for your 70s and beyond. Even if you're healthy and living a lifestyle you've enjoyed for years, there is still the chance that a major illness could set you or your loved one back. By now your healthcare proxy, legal power of attorney (POA), will and trust documents should be in place —your financial advisor needs copies of these important records. If you make changes to any of these documents in your 70s, be sure they are duly witnessed, signed, copied and distributed. Too often we’ve seen a sudden health care emergency cause unnecessary stress due to missing, improperly executed or partially changed instructions. Having these plans in place not only makes sure your wishes are honored but also provides peace of mind for your family. We have seen clients who were told they were going to die within six months, who gave away all their money and then lived another ten years (in less than ideal financial circumstances). Sudden emotional decisions about making a large purchase, paying a grandchild's college loan, or buying a new car for another family member are best delayed until things are calmer and you can consult with your advisors. With a few years behind you since turning age 65, by now you have likely enrolled in Medicare Part A, Part B and Part D. But don’t overlook annual decisions about which Medicare Supplemental insurance plan is most appropriate for your situation, and if your income varies significantly year-to-year or you experience a life-changing event, seek counsel about how to handle a sudden significant income increase. You want to avoid the income-related monthly adjustment amount (IRMAA) sliding scale, which is a set of statutory percentage-based tables to adjust Medicare Part B and prescription drug monthly premiums. In 2018, for example, many people pay $134 for the monthly Medicare Part B premium, but the IRMAA scale could increase that to $ $428.60 a month, plus additional prescription drug premium costs. Your CPA may suggest you consider reducing the amount you'll pay in estate taxes upon death by maximizing tax-reducing gift strategies. Inter-generational gifting strategies for your heirs might include paying rent for your children or grandchildren, paying for childcare costs, purchasing a new car for a loved one, paying off a relative's student loans, or contributing to grandchild's college savings fund. But the guidelines for tax-free gifting can be confusing. Conceptually, the annual exclusion gift is rather straightforward: Anyone can give anyone — relatives, friends, and even strangers — annual gifts of up to $15,000 (2018) without the donor having to pay taxes. The annual Federal tax-free gifts are in addition to the $5.6 million (2018) estate tax exemption. Non-cash gifts and gifts to married couples can be more complex so consulting with your CPA or tax attorney is wise. Do you own a family business? Are your children or grandchildren a part of that business? If so, even if you have retired it is wise to protect yourself and the business by having a buy/sell agreement as it may save many headaches later, especially if you're counting on money from the business during retirement. One unfortunate story we learned of recently was about a grandchild who was running the family business and the grandparents were still living off some of the profits of that business in their retirement. The grandchild suffered from substance abuse addiction and ran the family business into the ground. The grandparents had no legal ability to step in and they never received a return on their business investment. We know that more people are working into their 70s – either by necessity or by choice. In fact, national research from the Center for Retirement Studies shows that four in 10 workers will continue to work past age 70 – long after the typical retirement age of 65. Continuing to work into your 70s can be a financial or emotional bridge to retirement. Working longer provides additional years to bring in income and grow your savings — or develop new interests and friends in a new community. Don't think that you (or anyone) can have a "set it and forget it" mentality about your finances. Empower yourself by reading about the economic climate and watch when you can for news about your investments at least on a monthly basis if not daily or weekly. Remember: knowledge is power! Meeting or talking regularly with your financial advisor, tax attorney or CPA will help you stay on top of current trends that affect your investments or changes in state and federal tax laws that can affect you. Whether you’re still working or not, these seven tips for financial planning in your 70s can help make these years a wonderful time as you begin to relax and transition into your next stage of life adventures. Heidi Clute, CFP® of Clute Wealth Management in South Burlington, VT and Plattsburgh, NY, an independent firm and registered investment advisor that provides strategic financial and investment planning for individuals and small businesses in the Champlain Valley region of New York and Vermont. Clute Wealth Management and LPL are separate entities. 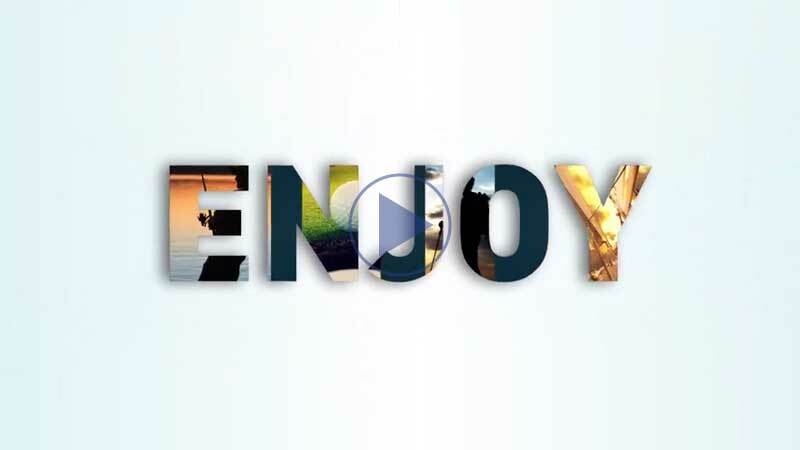 Securities offered through LPL Financial. Member FINRA/SIPC. The opinions voiced in this material are for general information only and not intended to provide specific advice or recommendations.